While the news recently has been dominated a lot by NFL players protesting the National Anthem, on Sunday one team unashamedly honored this country’s fallen heroes. And every single player participated. It all focused on a simple sticker on each player’s helmet with some letters on it. 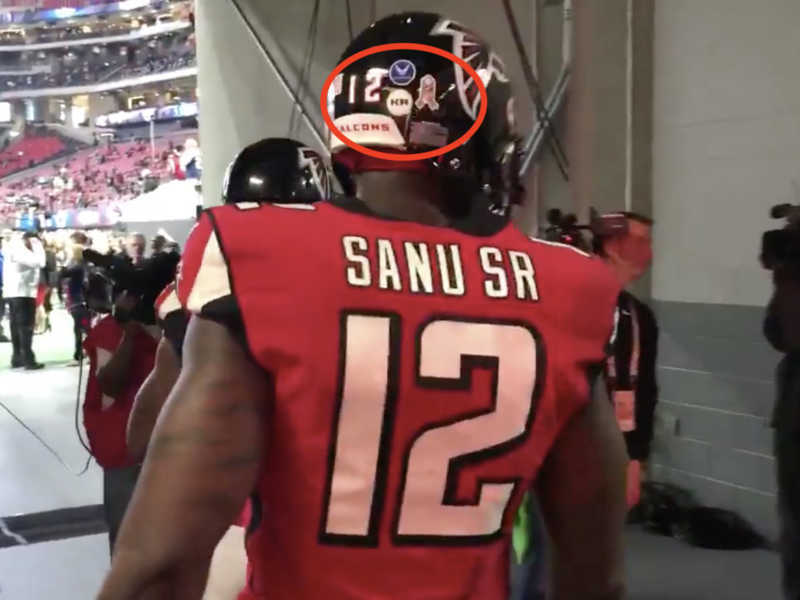 During Sunday’s game against the Dallas Cowboys, Atlanta Falcons player wore small, white stickers that included the initials of a different veteran who gave the ultimate sacrifice. The gesture was part of the NFL’s “salute to service” this Veteran’s Day weekend.